07.00 am / 12.00 pm: Drive approximately 1.5 hours South of Chiang Mai through rolling hills, forest, and local farming areas. 08.30 am / 13.30 pm: Arrive at the Elephant Jungle Sanctuary. 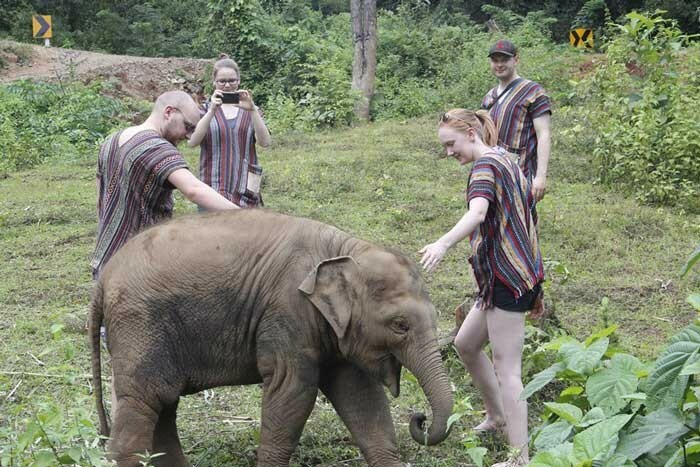 Learn about the elephants and change into traditional Karen clothing. 09.00 am / 14.00 pm: Meet the elephants. Feed, interact, and play with the elephants in a natural environment as you learn about their behavior and history. Take photos with the elephants. 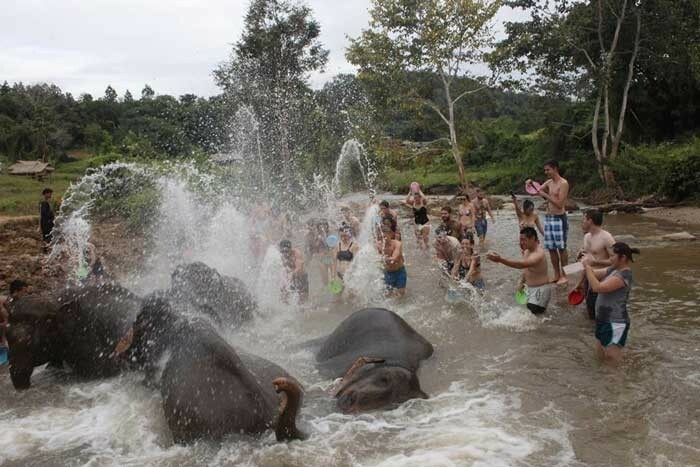 10.30 am / 15.30 pm: Walk with the elephants to a river and bathe them. 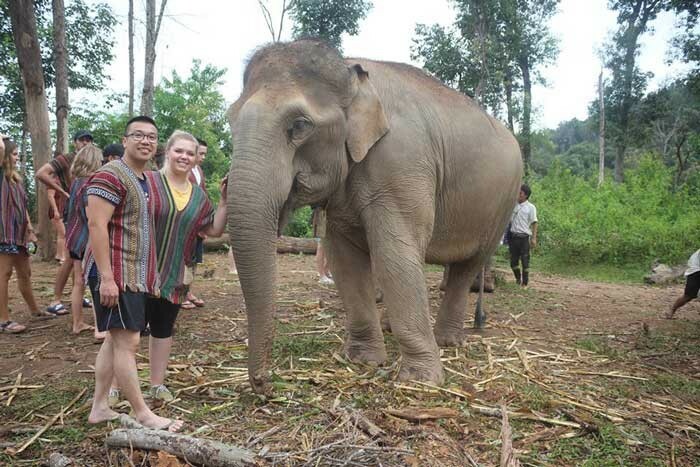 11.30 am / 16.30 pm: Eat a traditional meal and then say goodbye to the elephants. 12.00 pm / 17.00 pm: Leave the Elephant Jungle Sanctuary and drive approximately 1.5 hours to Chiang Mai. 13.30 pm / 18.30 pm: Drop off at your hotel or accommodation. 08.00 - 08.30 am: Pick up from your hotel or accommodation. 08.30 am: Drive approximately 1.5 hours outside of Chiang Mai through rural landscapes, agricultural areas, and forested hills. 10.30 am: Arrive at the Sanctuary. Meet your guide and walk for 10-15 minutes through the Jungle to the Elephant Jungle Sanctuary. Change into traditional Karen clothing. Enjoy an introductory lesson about elephant anatomy, history, and behavior. ​11.00 am: Meet the elephants. Feed, interact, and play with the elephants in their natural home as you learn about their behaviour and history. Take photos with the elephants. 12.00 pm: Enjoy a lunch of traditional Thai food and fresh fruit. 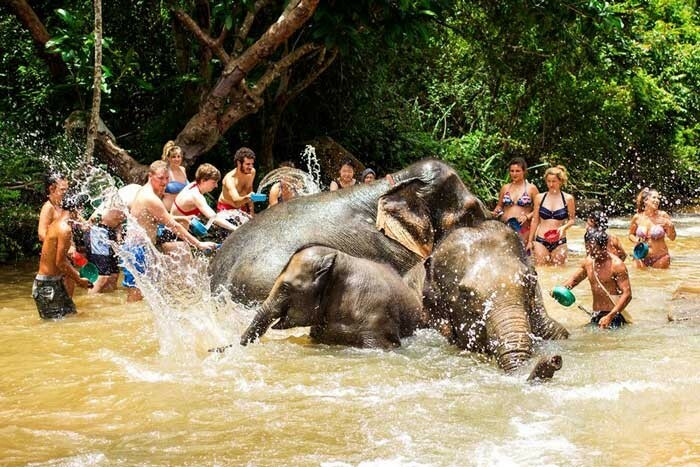 13.00 pm: Learn how to make herbal medicine balls, feed the Elephants and then walk with the elephants to the river. Bathe and brush the elephants. 14.00 pm: Join the elephants for a therapeutic mud spa. 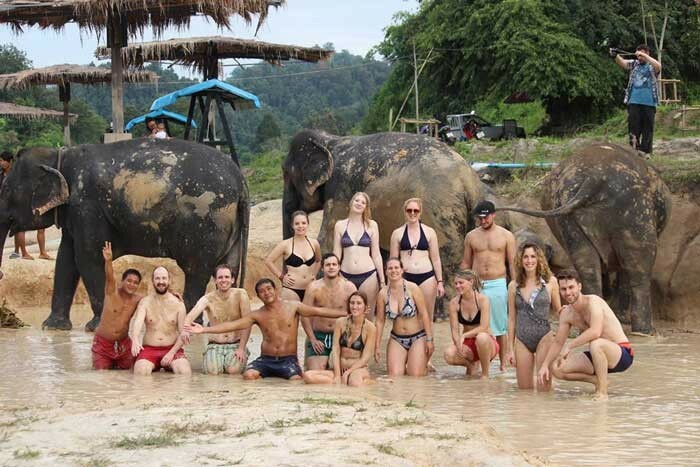 Swim in the river and take photos with the elephants. 15.30 pm: Leave the Sanctuary and return to Chiang Mai. 17.00 - 17.30 pm: Drop off at your hotel or accommodation. 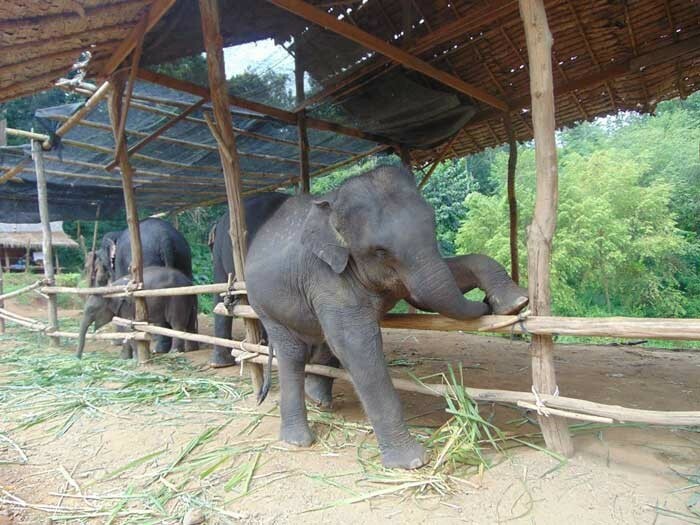 • At the Sanctuary, we will allow you to spend as much time as possible with the elephants. Therefore, there is no formal schedule and aside from pick-up times, the times shown here are approximations.